TOP FILTER water dispensers are perfect solution for drinking water needs for offices, hospitals, schools, etc. 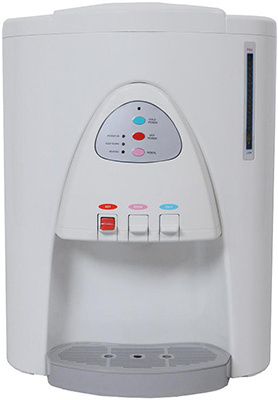 In contrast to the water dispenser with bottles, it continuously provide high quality clean and healthy water using reverse osmosis integrated systems. Throughout the year, 24 hours a day, depending on the need to provide a refreshing, cool water in the summer heat, cold water to fruit drinks or hot water for making tea and coffee. Electronic temperature control allows you to instantly obtain hot water at a temperature of 85-100 °C. Modern and functional housing has been designed for ease of use and maintenance.